A pretty great concept. 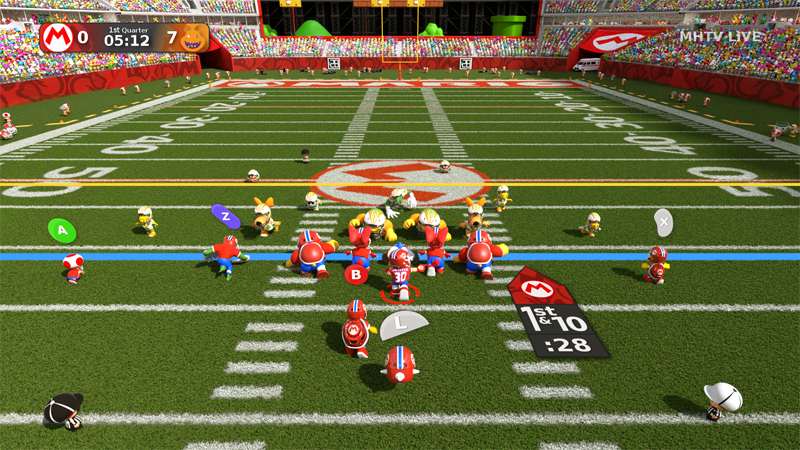 SyBro imagined an American football game with Super Mario characters and made some 3D renders for it. Too bad it’s just fan-art. The Mushroom Kingdom and arcade-y gameplay (NFL Blitz style!) could indeed spice up a football game, and both the sideline and the character selection screen look awesome.